Click to see how much fun we had in October 2018! to give us time to see each thing separate and enough. to know its merit with attention. To be fished by a poem. What a thought! But the longer I write poetry the more the words of Jack Gilbert ring true for me. Poetry fishes us to find a world…Come to Italy and be fished. Or to put it another way in the words of Canadian poet Susan Musgrave, come and discover what she has discovered: it seems to me my poems know more than I do and are wiser than I am. Discover how your poems can bring closer to yourself and your world in a healing and transforming way. 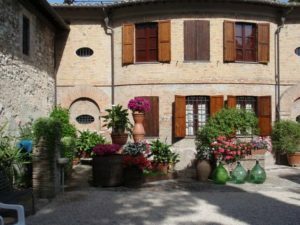 Please consider this invitation to join me this June in Umbria for a life-changing poetry-writing experience. What better place than Italy, at La Romita School of Art in Umbria (click here for the La Romita website) and at many other inspiring locations in Umbria and Tuscany, to write on location in some of the most beautiful places imaginable. 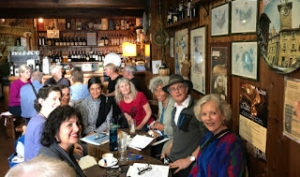 In this ten-day poetry writing retreat we will maintain a constructive balance between facilitated writing sessions, lots of quiet times for writing and our out trips to some of the remarkable places near and far-near from La Romita including Assisi, Perugia, Spoleto, Todi and some of the lesser-known towns that dot the hilltops of Umbria, each with their own special features and histories. The structured writing sessions, many in situ, or as artists say, en plein air, at places we visit will be inspired by handouts based on meditations on craft, specific creative prompts and the poems of master poets such as Ocean Vuong, Patrick Lane, Rosemary Griebel, David Whyte, Mary Oliver, Frank O’Hara, Jan Zwicky, Roger Reeves, Ishion Hutchinson, Derek Walcott, James Wright, Giovanni Pascoli, Jack Gilbert, Seamus Heaney and many others. The retreat will combine aspects of poetic craft with poetry’s ability to open you to surprising moments of discovery with ourselves and the world around you. This approach will help you write unexpected poems that stretch you as a person and as a writer. 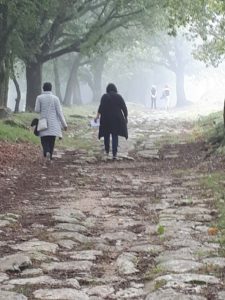 Poets in Carsulae Archeological Site, Umbria, October 2018 – Going to Find a Writing Spot! Open to writers of all levels of experience. 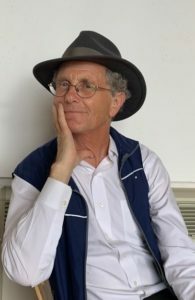 To help prepare you for the poetry retreat you will receive a six-page introduction in early May 2019 chock full of poems and thoughts on poetics. In addition, a few weeks later, you will receive a pre-retreat writing adventure/assignment to be completed and brought with you to the retreat. The poem that comes from this will be at the core of how we introduce ourselves at the beginning of our time together. There is something special that happens when a poet/retreatant lives in a community of other poets for ten days. 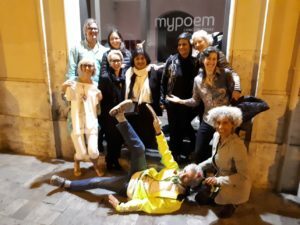 Yes, life-long friendships can develop, but even more, a synergy can occur as poems are written together, shared and revised that leads to the retreatant going home with up to ten new poems quite unlike any others they have written before. 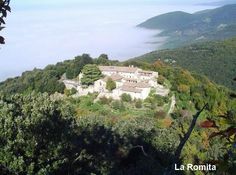 La Romita School of Art, located in the hills overlooking Terni, Umbria, sixty miles north of Rome and a three-hour drive from Florence. Includes room, all meals at La Romita, return ground transportation from Rome to La Romita, all poetry facilitation and all frequent out-trips. The price does not include airfare to Italy. A deposit of $500.00 is required to register. The deposit is non-refundable unless the retreat minimum of eight participants is not reached by April 1st, 2019. Final balance, non-refundable, will be owing no later than April 15th, 2019. Please Contact: Tracy Posey at washington@laromita.org phone # 202-337-3120, and cc Richard Osler at osler@shaw.ca . For further information please contact Richard by email or by phone at 250 597 7875. You have given me the gift of poetry through patience, grace, humour and ultimately, love. You are a master at holding space for this new voice.